There are 147 reviews of Knize Ten. Not sure why anyone would wear this? It’s dirty and not in a good way. Like an ashtray combined with a leather taxi seat combined with unwashed trousers. I heard it once described as like the inside of a New York taxi at the end of a long shift which is 100% right on the money. Not for me. Knize Ten is truly a delicious scent — I get Russian leather and tobacco. In fact, this is the bottled essence of what I imagine the Romanov Grand Dukes of the late 19th to early 20th century smelling like. Queen Marie of Romania remembered the Romanov Grand Dukes as imposing, "like tall trees," who smelled "deliciously of Russian leather, cigarettes and the best sort of scent.” This quote sums up Knize Ten for me. I won't give a negative review because I just received my first bottle and am trying to get a feel for it. So many reviews here, so many expectations. I was expecting the rubber, the leather the diesel. Instead, I get flowers. Lots and lots of floral and almost sickly sweet with a bit of leather underneath. The leather comes out more after 5 or 10 minutes but then quickly goes to powder. It's late November and the weather is chilly and wet here in Madrid so it seems to be the right climate for sporting this fragrance but it just doesn't seem to kick in correctly. My lady wears Cuir de Russie from time to time and that scent actually comes off as much more masculine than this. It may be more appropriate for her than me! So I've been wearing this now for a few days. And it is growing on me. And sticking to me! It lasts a long long time. I really like the leather and tobacco. Is it perfect? No. But it is an important fragrance historically and that in of itself is reason enough for me to at least try it. Knize Ten (1924) is the stuff of legend, but don't let all the history and hubbub fool you: this is no roaring 20's dandy dalliance. Joseph Knize was a tailor living in Vienna that was a supplier to the royal and imperial courts of the day, and if you read the Lucky Scent blurb, it goes on and on about how great the architect of his shop was (Adolf Loos), who also designed the bottle, and it can be read elsewhere that the perfume itself is considered one of the first accurate leathers, but let's dispose of all that just for a moment. The real scoop on Knize Ten was that it fell into the same powdery "sport" type of fragrances made for men since the mid 1800's by apothecaries, and was more of a bracing toiletry made in one of the few ways perfumers knew how to make something not smell "perfumey" so a guy who wasn't a dandy would wear it. Caswell-Massey made Jockey Club (1840) for this purpose, and the Ed Pinaud company adapted the French "Fougère-type" into something more mossy and powdery for barbershops in 1920 with it's "Clubman" line, so it only made sense to continue this way but with a unique leather twist that tied in with Knize's leather outfitting work. Vincent Roubert and his friend/colleague Francois Coty (yes, -that- Francois Coty) double-teamed to compose Knize Ten for Joseph Knize, released under his own label. Francois already had his own perfume empire gestating as we all know, and he would take Vincent with him to compose Coty perfumes until Roubert eventually landed with Jacques Fath a few years later. Meanwhile, Knize as a tailoring outfit would hum along, outliving Joseph himself, and they would quietly keep Knize Ten alive as their predominant men's toilet water (one of only few purpose-built for men at it's time of release) until the present day. That's it. This stuff is essentially niche before the term was used as it is today in the perfume industry, and the stuff has been kept alive by word of mouth for generations. Knize has dabbled in other scents over the years, but none of them have stayed on the market long. Now, with all that out of the way, what makes Knize Ten so special? Well, it's not the first leather scent for sure, but Knize Ten was the first to make a splash with guys because it was the first to be directly marketed to them. Knize Ten is a powdery piquant leather scent on one hand, and a petrol leather on the other. The powdery aspect would almost be copied ad-hoc and intensified with extra oakmoss some years later by MEM with their Russian Leather, later re-dubbed English Leather for it's post-war relaunch in 1949. The petrol vibe found in Knize Ten would carry on to the leather elite which followed, with everything from Cabochard (1951) and Aramis (1966), to Bel Ami (1986) and Moschino Pour Homme (1990) owing it's existence to Knize Ten in that regard. Does this make it better than any of them? Well no, not really. Knize Ten is just the framework from which most modern leather scents build on, even if it does what it does exceedingly well. Bergamot, lemon, orange, petitgrain, and rosemary fire off the opening salvo, creating a plume reminiscent of early tobacco scents to me, being bitter, leafy, citric, and a touch sweet. The middle is considerably more crowded with geranium, cedar, rose, orris root, carnation, cinnamon, and sandalwood, with the last two being the most evident alongside the geranium. By this point, the expected petrol leather emerges between the spice and florals, but also the powdery talcum-like qualities surface, providing the genesis of the aforementioned leather tropes, even if Chanel Cuir de Russie (1924) from the same year could also technically take some credit as well. The base leather note is assisted by a bit of musk, oakmoss, and vanilla, with animalics like ambergris and castoreum giving Knize Ten that manly oomph which lets you know this is a scent from the 1920's. There's no real talc or tobacco note, but I swear they both emerge in later stages, as does a ghost jasmine note, not indolic like a perfume, but light, as if catching the scent in the breeze as that Seals & Crofts pop tune I won't utter here. If there is any dandy touch at all, it's that ghost jasmine, but it's not enough to sway this way from the Polo-playing crowd it was meant for, since the "Ten" in Knize Ten refers to the game anyway. Wearing Knize Ten is like watching an old silent film, as you can see the root of all your favorite creations in the years to come from it's stilted frames and jarring moments captured for posterity, but nothing about Knize Ten exists on the same level of refinement as anything it inspired, even deep vintages of drugstore heroes like English Leather. That's not to say Knize Ten isn't quality, as it is extraordinary in performance, it just has the same limitations in distinction compared to it's more diverse progeny that something like Fougère Royale (1882) has when being compared to every subsequent fougère made in it's wake. So much more has been done within the leather category since Knize Ten came out that there is far more interesting subjects to peruse, and the biggest draw to new buyers is discovering the "origin of the species" as it were. Knize Ten is definitely full-bottle worthy for folks looking to stock up on historic scents, and fits nicely alongside others in it's pioneering class like Jicky de Guerlain (1887), Eucris by Geo F Trumper (1912), Penhaligon's Blenheim Bouquet (1902), Le Dandy by d'Orsay (1925), Caron Pour Un Homme (1934), Dunhill for Men (1934), and the like. However, for folks who have already thoroughly explored the leather genre, Knize Ten might smell more like homework than a practical wearable fragrance in the 21st century, so I'd leave it to sampling before splurging since the niche price tag comes along with the niche availability. I like Knize Ten, I really do, but I don't feel I love it's powdery floral leather appraoch enough to fully invest in a large bottle of it just yet, but if one finds its way into my collection by the time you read this, you can assume I got a really good deal. Something like this is best worn at formal gatherings due to how stiff, dry, and emotionless it is. Knize Ten won't feel right in modern polite company anywhere but at a wedding, old-school gala/ball, or fundraising event the likes that the richies of the Golden Age had right before the stock market crash sent them into the same bread lines as everyone else during the following Great Depression. One good facet about Knize Ten is it's from an older era where class was understated, so you feel important without feeling pretentious like you would in something more modern and opulent meant for today's equivalent of the same market segment towards which Knize Ten was originally pitched long ago. In conclusion, Knize Ten is a masculine powdery petrol-fueled leather that's often called the daddy of them all (even if there are older leathers), but neither is as masculine, nor powerful as it's followers lead you to believe. After all, guys still wore top hats and used canes when this hit the streets, so how raunchy and virile could you really expect it to be? Fantastic masculine leather with a slight powdery edge. I never tried a vintage or earlier formulation so my first try of the well-known Knize Ten by Knize comes from the latest formulation, but the juice is still excellent. Easily recognizable from its sharp opening as belonging to the same broad family of midcentury classics as Dior Eau Sauvage and Chanel Pour Monsieur, Knize Ten boldly heads into leathery territory where the other two bow out as just being citrus/floral/spicy mixes. It's certainly a much more agreeable leather fragrance than most other leather fragrances, though, given the citrus and woody elements that complement the leather. The note breakdown consists primarily of an herbal/citrus opening giving way to spicy/floral heart and leathery/musky/woody base. Knize Ten performs excellently, as well, particularly as an EDT in a field of typically higher-concentrated fragrances nowadays. And at $75 for 50ml and $120 for 125ml, it's reasonably priced even at retail. new KNIZE TEN After Shave Lotion 225 ml 7.61 fl.oz NIB ! 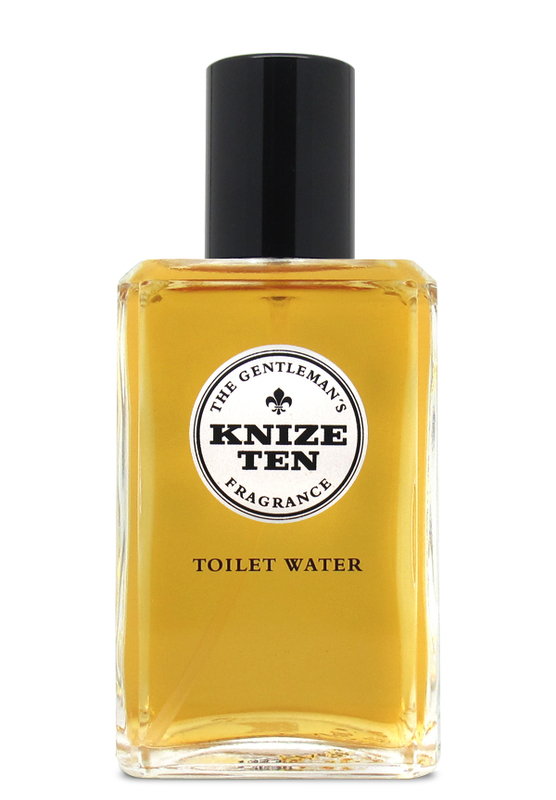 new KNIZE TEN Toilet Water - Eau de Toilette Splash 125 ml 4.23 fl.oz NIB ! KNIZE TEN (EDT) -- DECANT/SAMPLE -- Smoky floral leather classic! Wow, What Have They Done To Knize Ten.... It's Now PC Safe! Knize Ten or Hermes Bel Ami Vetiver ? What Do You Smell When You Look In The Mirror?